Although volleyball is a limited-contact sport, many volleyball players still sustain concussions from unfortunate encounters with high-speed balls. 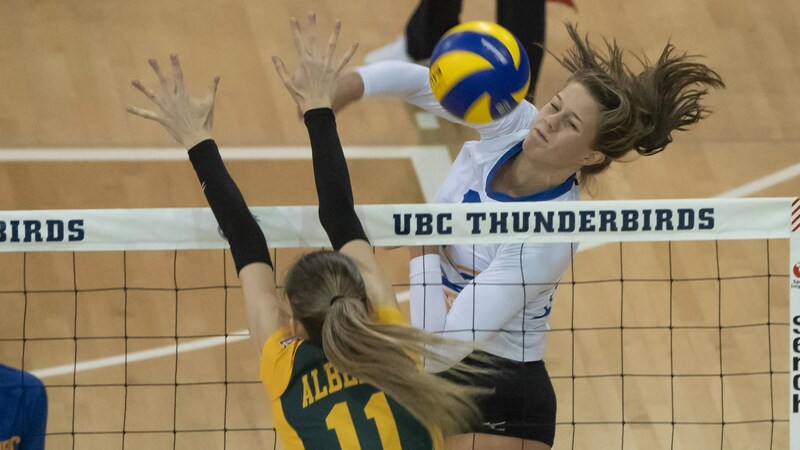 Now investigators at the University of British Columbia have found that the brand and model of the volleyball that athletes use may play a role in determining their risk of injury. The researchers observed that despite having nearly identical masses, circumferences and pressures — the ball properties standardized by Fédération Internationale de Volleyball, the international governing body for volleyball — several different official ball models from four different manufacturers lost significantly different amounts of energy when they impacted a surface. “Our study suggests that both regulated and unregulated properties of volleyballs, such as the thickness and material composition of their walls, influence how forcefully they collide with another object, like a person’s head,” says Florian Schneider, the study’s lead author and a member of UBC’s Orthopaedic and Injury Biomechanics Group at the time the research was conducted. Schneider and his colleagues first tested the elasticity of the balls, dropping them from a known height onto a concrete floor and using a microphone to measure the time between the first and second bounces. Next, they investigated the balls’ basic mechanical properties, using a materials testing machine to compress each ball until it was deformed by 50 millimetres. The results showed that each ball’s elasticity — a reflection of the amount of energy lost by the ball upon impact — depended on its model, pressure and incident velocity. They also revealed that the balls varied greatly in their stiffness, their ability to absorb energy and the extent to which each ball returned to its original shape after being compressed, a phenomenon known as hysteresis. Concussions, which result from the rapid acceleration and deceleration of the brain following a blow to the head, may cause long-term psychological disturbances like memory loss and depression — especially if sustained repeatedly. Difficult to diagnose on-site, and likely underreported by athletes eager to return to play, they are a significant public health issue in the realm not only of contact sports, but also of limited-contact ones like volleyball. The study appeared in the Journal of Sports Engineering and Technology and was conducted in collaboration of the UBC Department of Athletics and Recreation, including the head coaches of the women’s and men’s volleyball teams at UBC. This story originally appeared on APSC Research Spotlights.